The design on this super soft white baby onsie is playful & contemporary! 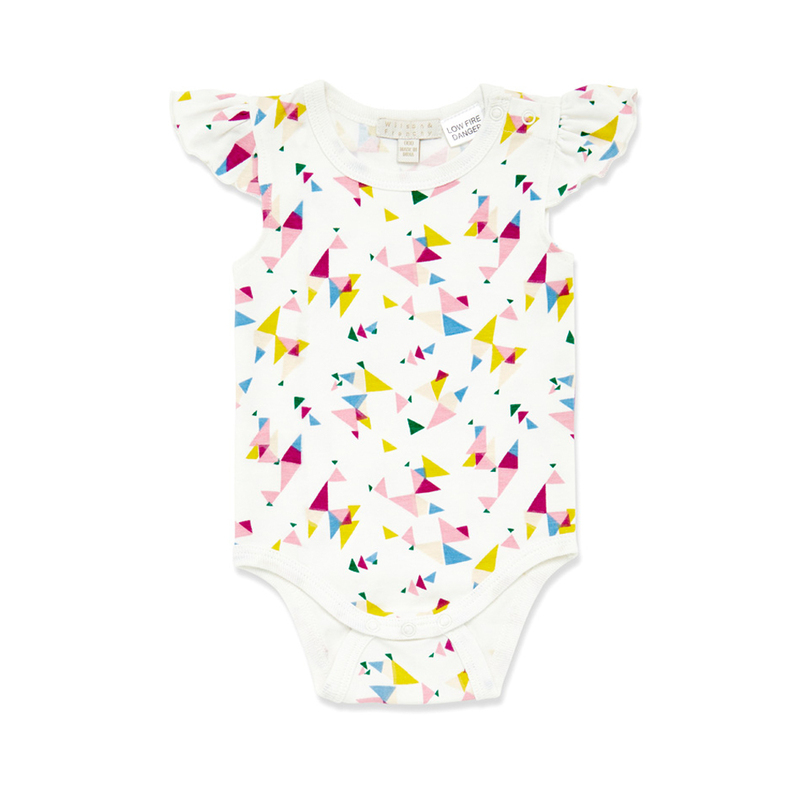 A cheery geometric pattern of triangles in pale pink, deep pink, blue and gold cover the white bodysuit This sweet spring/summer onsie features little frilled sleeves and neat press stud fastenings on the shoulder and at the bottom allow for easy dressing and changing. Perfect for warm weather, your bub will be very comfy in this gorgeous design.